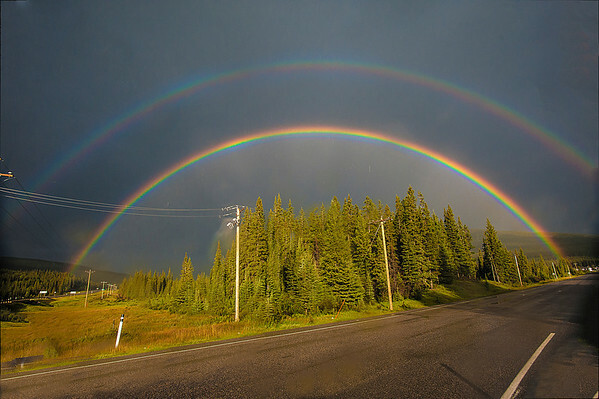 Double Rainbow at Nordegg AB Aug 8 13. My first viewing of such a FULL and DOUBLE rainbow. It was spectacular.